Here is a quick picture for a Friday morning. 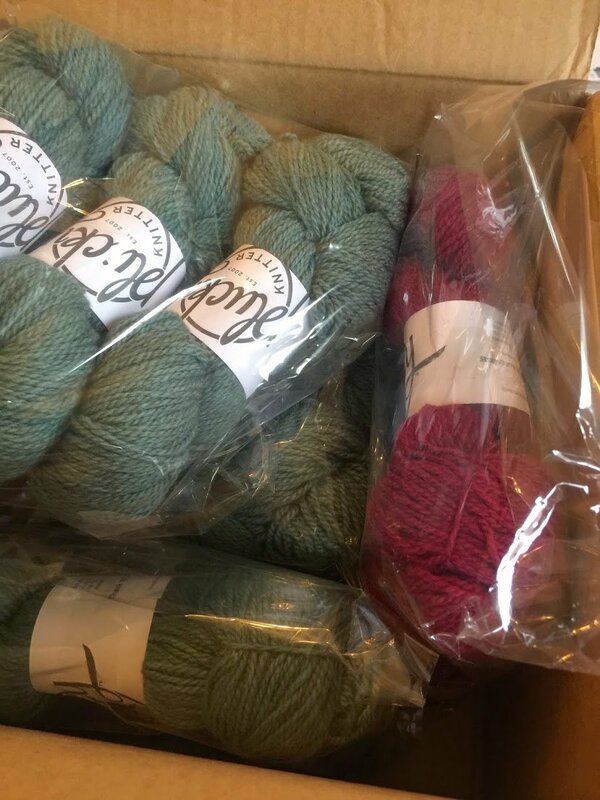 My kind UPS lady dropped off this box, full of The Plucky Knitter's Scholar, a rustic textured yarn that is a cashmere/merino blend. Oh the possibilities! Whatever will it become? I'm thinking about this sweater, or possibly this one for the red yarn, which is called Strawberry Wine. And this one has caught my eye for the blue yarn, which is Thank You Note. What to knit next is always one of my favorite questions! Happy Friday everyone.